The thermostat controls the temperature. If it fails, you’ll be left with no control of the water temperature. Dents and cracks to the water heater or water tank require help from a professional plumber. In most cases, we recommend replacing the damaged unit to prevent leaking or corrosion. Often, homeowners try to avoid installing a new water heater in order to save money. However, many don’t realize that continuing to use an old, inefficient water heater might actually be costing them more. In most cases, replacing an old and malfunctioning water heater is actually more cost-effective that opting for repair service. Thinking of replacing it yourself? Water heaters can be complicated to install, and they’re not cheap. Doing it your self means there’s no warranty on the labor or parts, so if something isn’t done right you’re stuck footing the bill. Hire a professional and know that the job is done right. If your water heater is continuously breaking down and needing repair, consider installing a new unit to save you money. Additionally, you will likely save money with the installation of a newer, energy-efficient model. 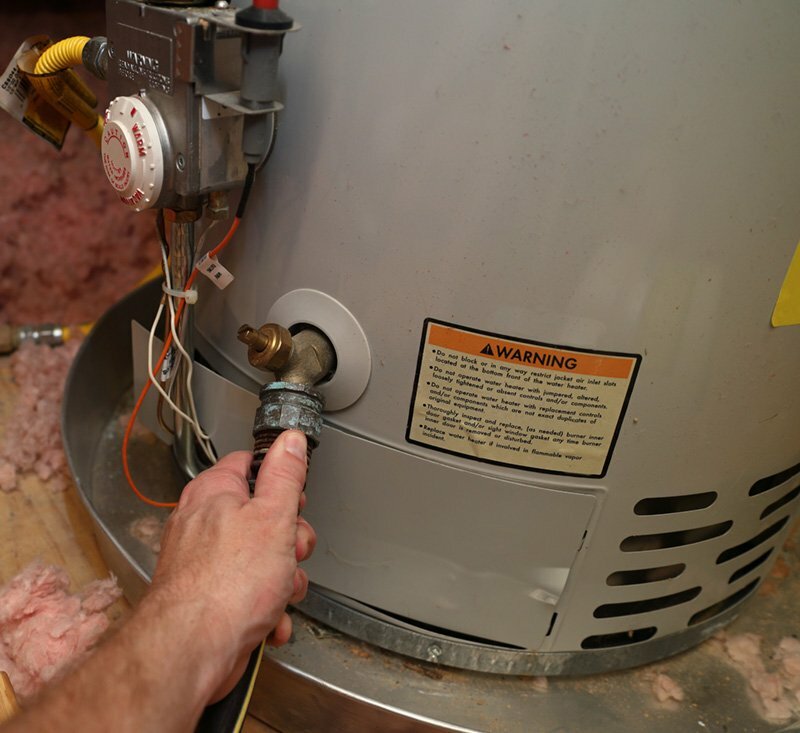 We recommend that all water heaters that are 10-15 years old be replaced. We offer a 1 year warranty on parts and labor for any new installations.